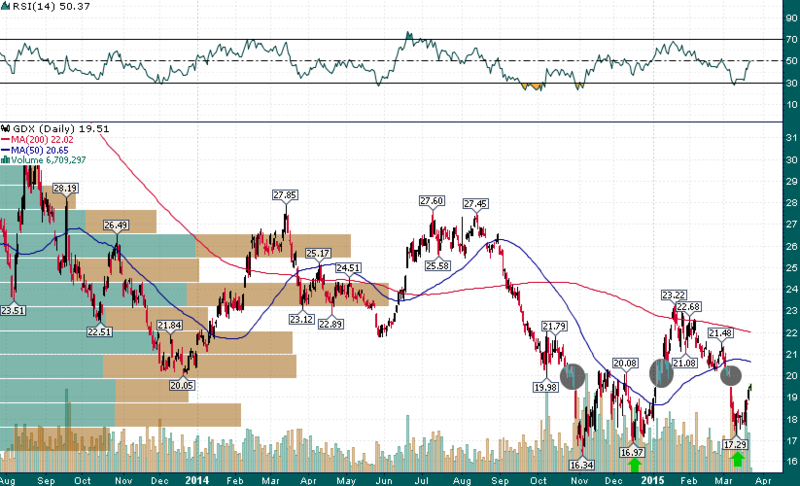 Gold Miners Back to the Center of Gravity – Brink of a Breakout? 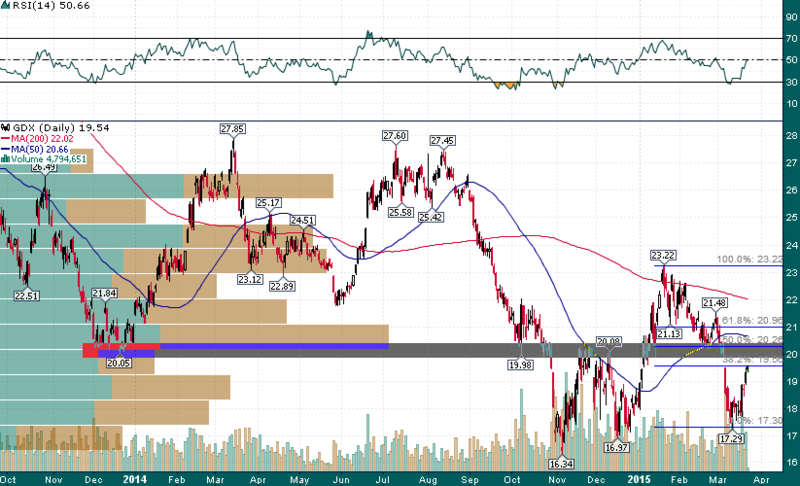 | Energy and Gold Ltd.
Gold Miners Back to the Center of Gravity – Brink of a Breakout? There are also some key Fibonacci levels in play as well; the GDX just tapped the 38.2% retracement of the January-March decline, and the 50% retracement of this decline exactly lines up with the $20.00-$20.50 support/resistance zone. Since the initial break of the $20 support level on October 30th,2014 this level has been breached two more times, once to the upside (January 2015) and once again to the downside (a couple of weeks ago). There is a technical analysis theory that the more time spent at a level and the more times it is tested, the more likely price is to finally move away from the level with force and not return for a long time. This could be on the verge of occurring with GDX. Moreover, there have been consecutive higher lows put in place even as sentiment and volume indicate growing investor despondency and a sector that is literally completely “sold-out”. This is definitely something to keep an eye on. If GDX moves back above $20.50 with force during the next couple of weeks I would suggest that traders and investors not take this move lightly. It could be the beginning of a much larger move away from the recent ‘center of gravity’.